Vincent joined Poseidon in early 2015 and runs the Poseidon office near Paris, France. He has over 15 years of consultancy experience in fisheries and aquaculture. 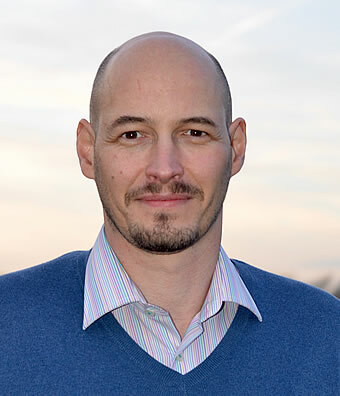 He holds an MSc in Aquaculture from the University of Stirling (UK) and a Master of Biology (highest distinction) from the University of Lille (France) / University of Bergen (Norway). Having started his career as an EU fisheries observer (the Grand Banks of Newfoundland), he has specialised in project management and consultancy in fisheries and aquaculture in the EU, Africa, Asia, and the Pacific, with a special interests in fisheries policies, monitoring control and surveillance, and fish trade and seafood safety improvements. His core clients are the European Commission (DG MARE and EuropeAid), the World Bank and the African Development Bank. His consultancy experience consists of evaluating the internal and external dimension of the Common Fisheries Policy of the EU (harvest and post-harvest sectors), preparing fisheries improvement projects (FIPs), market and feasibility studies for fisheries and aquaculture business, blue growth and integrated maritime development and fishing harbour development. He also has knowledge of ecolabelling schemes in the fisheries sector having been a Marine Stewardship Council chain of custody auditor from 2003 to 2009, and having developed and assessed ethical fish sourcing policies for private clients. Fluent in English and French, and with a working level in Portuguese and Spanish, Vincent regularly translates or supervises translations of technical documents in these languages. His countries of experience (field work or remote assignments) include Europe (France and its overseas territories, United Kingdom, Denmark including Faroe Islands, Germany, Greenland, Netherlands, Norway, Portugal, Spain and Switzerland); Africa (Algeria, Mauritania, Morocco, Senegal, Guinea, Cap Verde, Sierra Leone, Liberia, Ivory Coast, Ghana, Togo, Benin Nigeria, Cameroon, Equatorial Guinea, Gabon, Angola, São Tomé and Príncipe, Zambia, Uganda, Kenya, La Réunion, Madagascar, Comoros, Seychelles, Mauritius, Ethiopia, Djibouti and Somalia (Somaliland)); the Middle East (Turkey, Bahrain, UAE and Yemen); the Pacific (French Polynesia, Papua New Guinea, Cook Islands, Solomon Islands, Tuvalu, Kiribati, Vanuatu); Asia (India and Sri-Lanka); and the Americas (Canada).